Last Sunday evening Strath Creek Landcare held another Platypus/Rakali Group Watch for the Australian Platypus Conservancy. Group Watch aims to obtain a snapshot of the number of Platypus and Rakali (Water Rat) along a section of waterway – in our case the King Parrot Creek. It involves stationing observers, suitably refreshed after a stream-side picnic, at intervals along the creek bank, and scanning for animals for an hour near dusk. The SCLG event has been held annually for at least 10 years now. This year no platypus were sighted, which was disappointing but doesn’t necessarily mean there were no platypus in the section of creek surveyed. However, observers at four of the five sites were lucky enough to spot a rakali. Given the timings of sightings and the distance between sites, it is likely there were at least three, and probably four, individual animals. 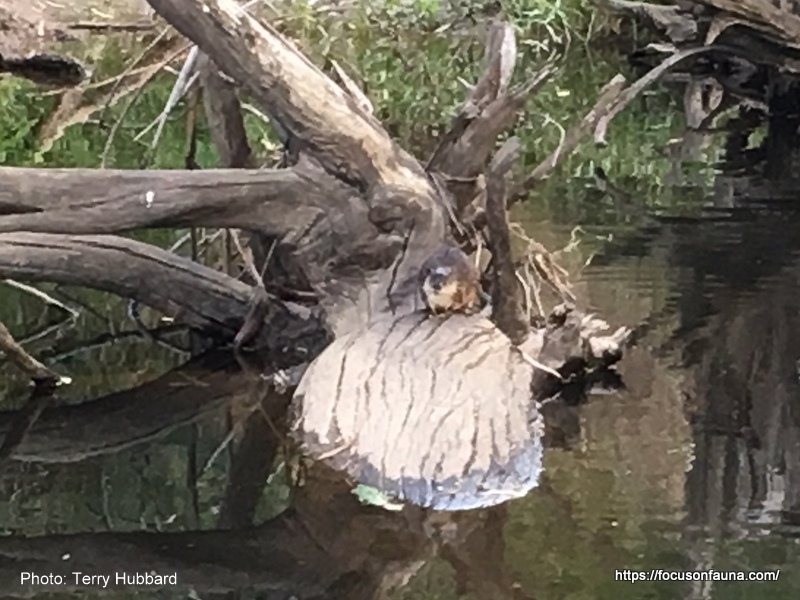 The best sighting was by Janet and Terry who had a rakali that perched on a log in the creek (click on photo above), then swam around in front of them for 5 minutes. Of concern was the presence of European Carp at a couple of sites. 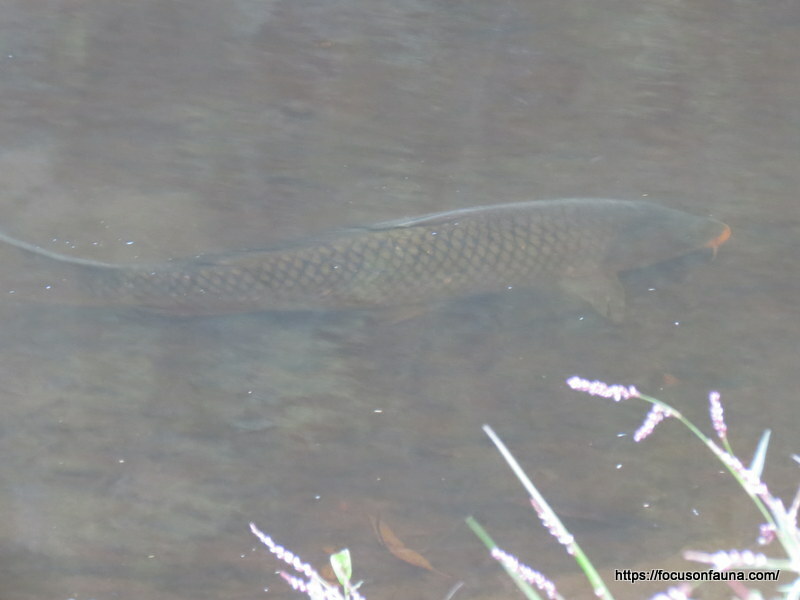 The photo at right shows one of the carp that was estimated at around 40 to 50cm long. Fortunately, going by the results of the Arthur Rylah Institute’s annual fish surveys, carp are not abundant in the King Parrot Creek. 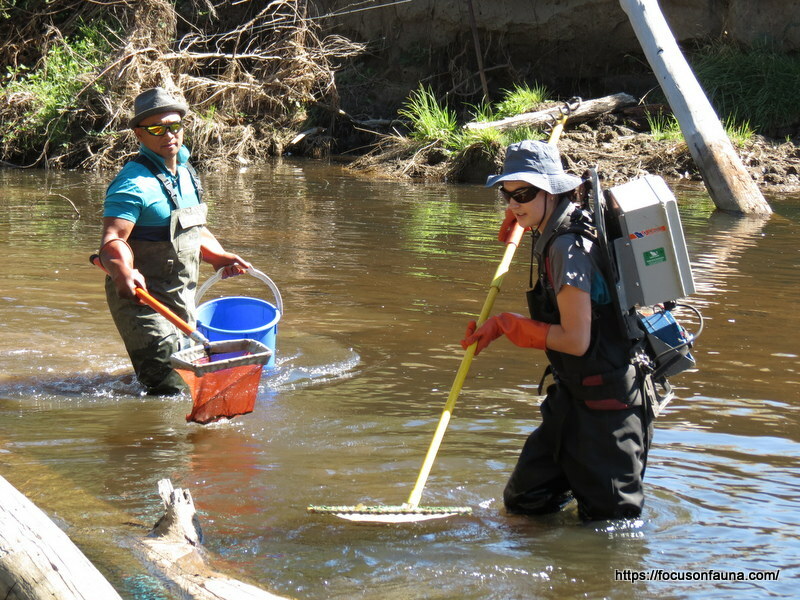 The healthy state of fish stocks in the creek was shown last week during an electro-fishing demonstration at Moores Road Reserve, following a meeting of Goulburn Broken Catchment Management Authority staff and local Landcare group representatives with Karen Lau, the newly appointed Executive Director of Catchments and Waterways at DELWP. 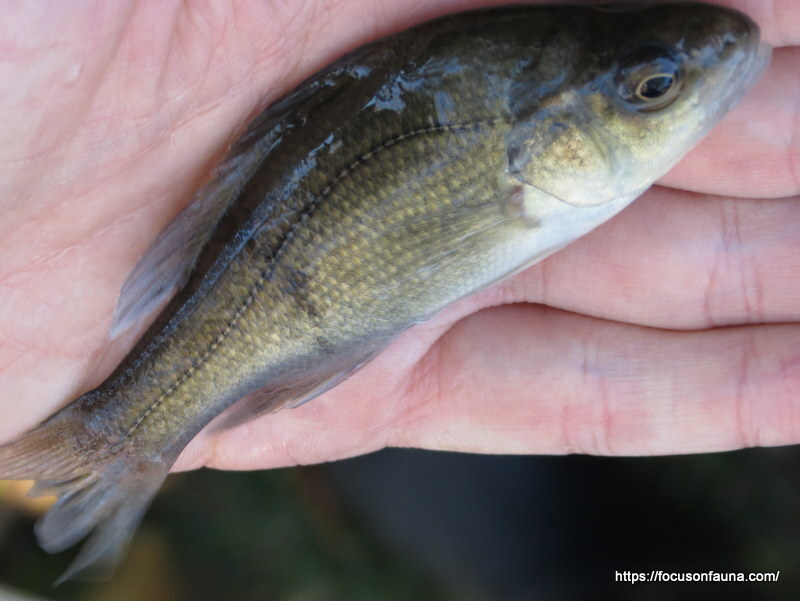 In a fairly short time, in only about 100m of creek, ARI scientists had collected a bucket-full of temporarily stunned fish, including many Blackfish, both River and Two-spined, trout, a Freshwater Cray and two endangered Macquarie Perch. As a rule of thumb, electro-fishing captures about 20% of the fish in a given length of stream, so in this section of the King Parrot, there were clearly a lot of fish indeed!